What is the Correct Intensity for Players in Tennis Lessons? 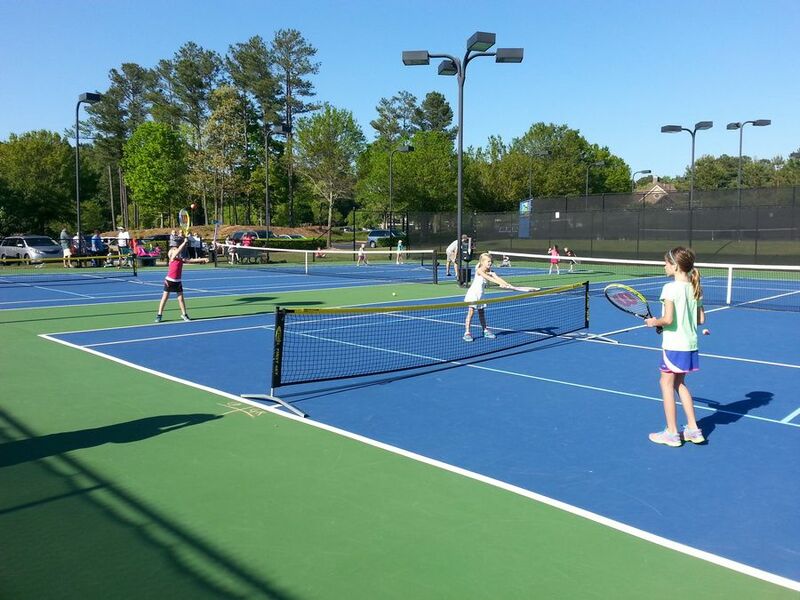 Playing tennis and training throughout the week can be highly enjoyable. However, as much as you enjoy tennis, you don’t want to overdo it. This leads to the question of just how much tennis is too much and at what intensity should you be playing? There are varying answers depending on your age, skillset, and general fitness levels. Elite tennis players who win Wimbledon require a higher intensity training than others! For tennis lessons for beginners to intermediate and advanced at local levels, it is important to get just the right amount of training in. The right amount of intensity prevents burnout on a mental and physical level. There are varying opinions from different sports scientists how hard tennis players should train. However, the is agreement from the International Tennis Federation agreeing on these figures to set the benchmark. For 6-8 years olds: 3-4 sessions a week, each session no longer than 60 minutes for private lessons and group lessons no longer than 120 minutes. 50% tennis – 50% other sports. Soccer, handball, basketball, swimming, etc. For 9-11 years olds: 1 hour, 3-4 times a week. 70% tennis – 30% other sport. For 12-14 years olds: 2-3 hours a day, 4-5 times a week of group lessons. 85% tennis – 15% other sport. For 15-16 year old (intermediate level): 3-4 hours of training a day, 4-5 times a week. For 16-18 year old (advanced level): 3-4 hours a day, 5-6 times a week. As for the intensity, it varies depending on what type of training is happening. In group tennis lessons in Singapore, the intensity for individuals is lower. In private training sessions, you will be expected to work harder and at a higher energy level. However, at Future Sports Academies Tennis Academy, we pride ourselves to keep our programs rigorous so as to be able to bring out the inner champion in every player in Singapore.